Fixed Gimbal Lamp Fitting: Adjustable 30mm or 42mm Dia. Harry Drum Light Shade in Poly Cotton: The Harry 45cm Drum poly cotton shade is a Large sized shade ideal for large table or floor lamps. Made using a smooth poly cotton fabric this ultra-modern simple straight cylinder shade sits well with a variety of bases. 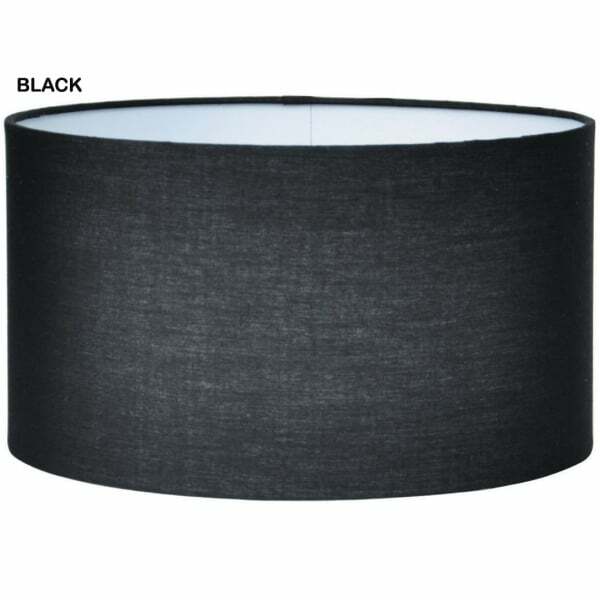 This shade can be used with up to a 60 watt bulb and has a gimbal of 30/42mm so is easy to install to different sized lamps. When cleaning remove from light fitting and use a soft dry cloth. Good quality and speedy delivery.